This exquisite watch comes from the Stardust collection of Titan Sonata. The silver-white glossy dial displays a charming leaf print and handsome Roman numerals. The silver-coloured skeletal minutes and second’s hands add a delicate touch, and the stainless steel round case is studded with brilliant Swarovski crystals. 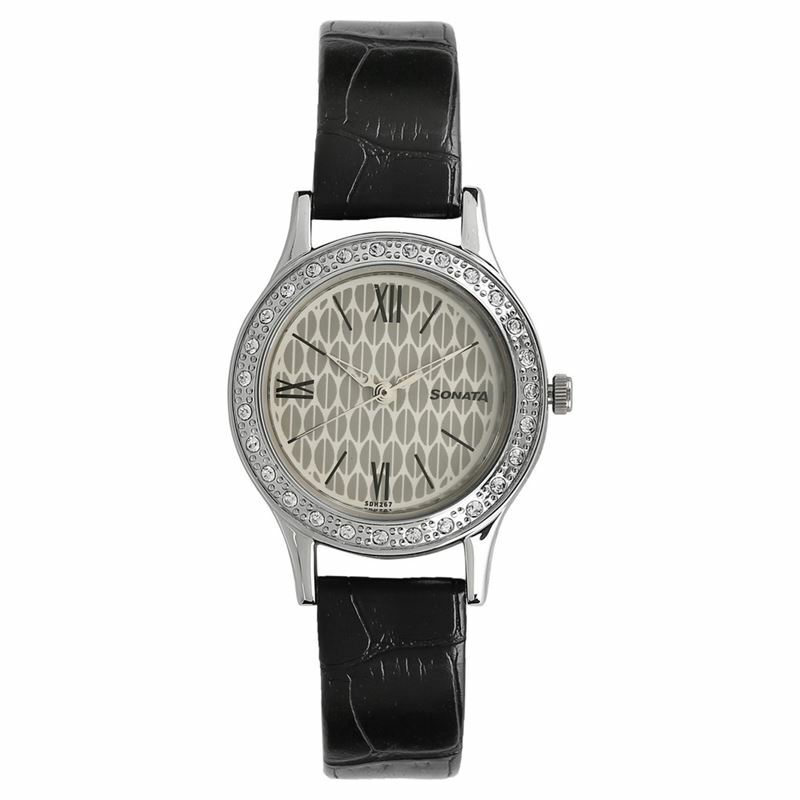 The rich black croco leather strap gives a beautiful trendy look for your formal as well as casual attire.